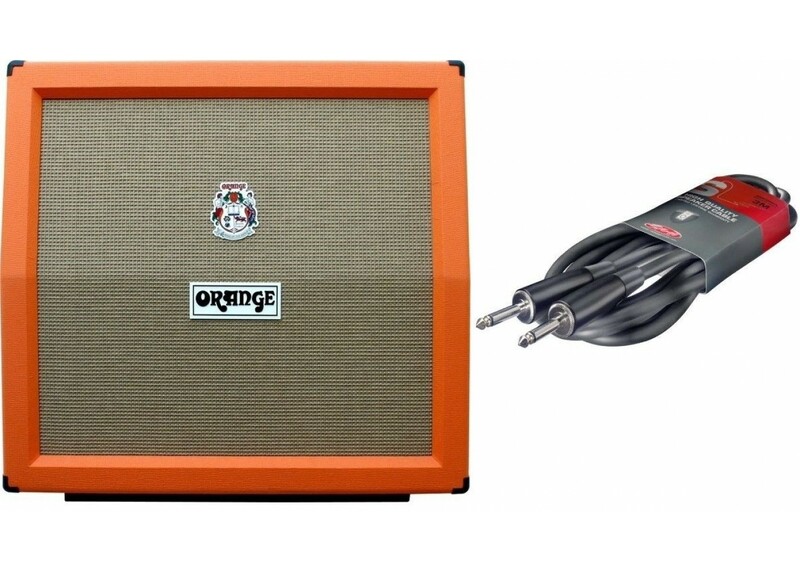 This great bundle includes the Orange PPC412A 4 x 12" 240 Watt Angled Back Speaker Cabinet plus a high quality Stagg model SSP1.5PP15, 5 foot Speaker Cable which is a $14.95 retail value by itself and which we are including at no additional charge. Butler Music is proud to have been selected as one of a very limited number of FACTORY AUTHORIZED Orange internet dealers. 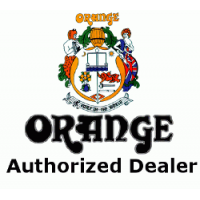 We are one of very few dealers that is fully authorized by Orange to sell on the internet and still be able to offer all products with the full factory warranty *. The 240W Orange Amplifiers PPC412-A guitar speaker cabinet is armed with a quartet of Celestion Vintage 30 speakers. 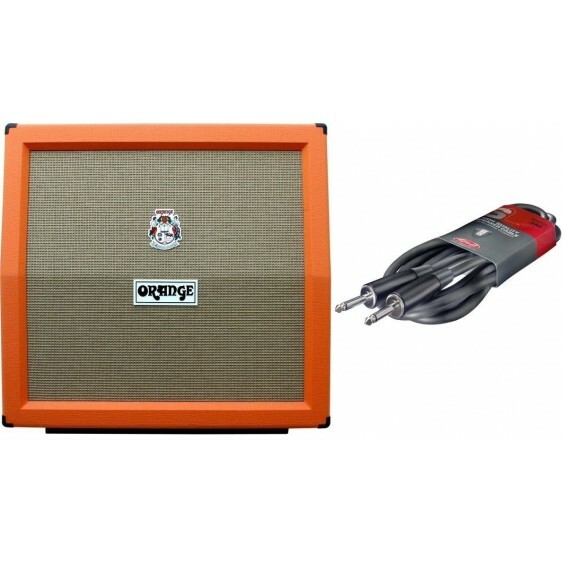 Convenient flush cabinet handles help you get the speaker cab to and from your gigs. The PPC 412-A speaker cabinet's unique feet help to acoustically couple the cabinet to the stage to provide tighter bass response and full range definition. 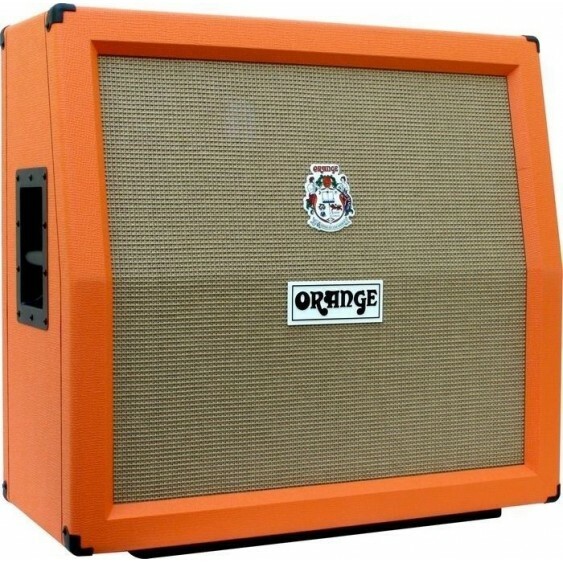 Orange speaker enclosures, like Orange amplifiers, are built to last. Every Orange Power Projection Cabinet (PC) is made using 13-ply high-density 18mm birch plywood throughout. The Celestion Vintage 30 Speaker recreates the sound of the original Celestion Blue with a new cone and a new coil assembly. Improved performance: rated at 60W capability, handles extra heat generated by higher power equipment. The Vintage 30 handles massive overdrive tones with ease. The Vintage 30 delivers enormously detailed and complex overtones, warm low-end, famously rich vocal mid-range and beautifully detailed top-end. The Clestion Vintage 30 sound has been captured on thousands of recordings. Used singly the speakers reveal the complexities in hand-wired boutique amps, or sets of 4 they produce a wonderfully intricate vintage 3D crunch.